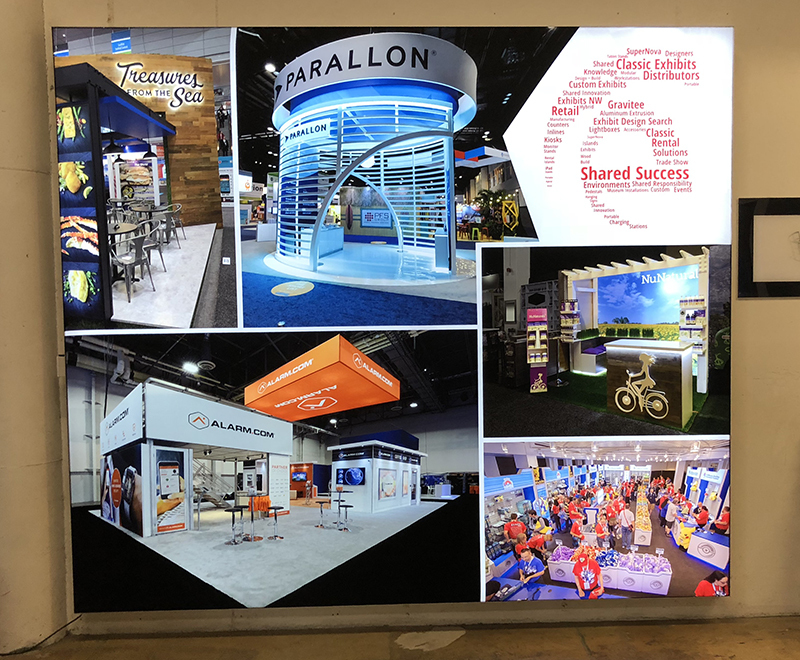 Trade Show Rentals have undergone a seismic shift not only in design but also in sales. And, this trend will continue in 2019 and beyond. This week, we chatted with Jim Shelman, the General Manager of Classic Rental Solutions. 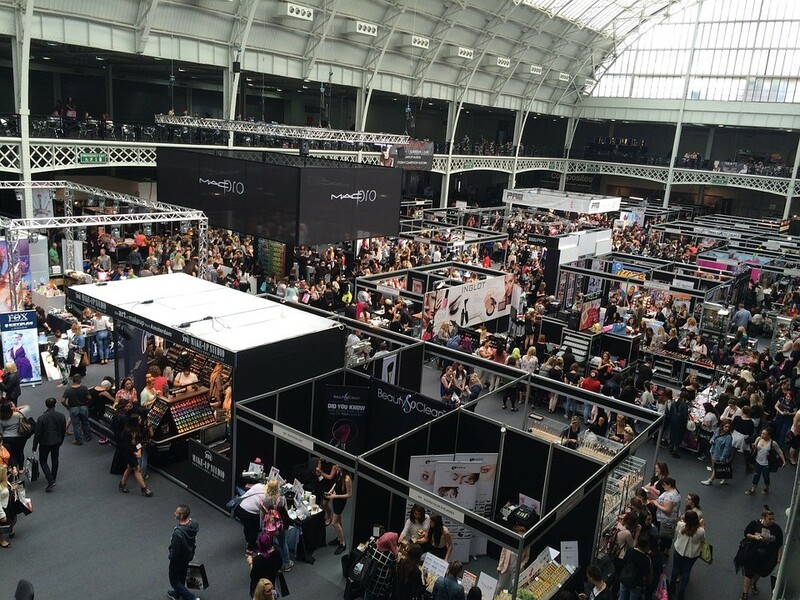 So what should you expect as an exhibitor or a Classic Exhibits Distributor Partner? More of the same, which is a VERY GOOD THING. Q1. You’ve been in the Rental Exhibits space for over 20 years. What’s different now than say 6-8 years ago? A lot of things have changed, but there are two things that really stand out to me as major changes. One, is the implementation of customization to rental designs. Almost every order we produce includes some element of customization to provide specific needs that exhibitors request during the design process. Today, it’s difficult to spot a rental design, versus a purchased design on the show floor. The other thing that stands out are the reasons exhibitors decide to rent vs. purchase. In the past, the primary reason to rent had more to do with only exhibiting in one or two shows per year, and if you were unsure of your long-term show schedule. The thought process was to test the waters with a rental, see how it goes, and purchase once you’ve committed to exhibiting in multiple shows per year. Now, it has become more about design flexibility, and perhaps not wanting to be stuck with the same design show after show. Or, maybe not wanting to deal with storing, shipping, or repairing a purchased exhibit. Today, many exhibitors approach each show as a clean slate by working with new rental designs that match their specific show-to-show needs. Q2. Classic Rental Solutions sales have increased year-over-year since 2010. Nearly 20% in 2018. Why? There are several factors. With the risk of sounding corny, I’ll credit our team of dedicated people, and our incredible distributors, but I also think it’s because of our business model. We understand how important it is to be flexible, and to offer customized design services, and continuously add new custom designs to our rental gallery through our Exhibit Design Search feature on our website. And we’re committed to adding inventory as needed, to fulfill new opportunities for our distributors. Another key factor is that we have the unique support from our in-house manufacturing professionals that produce new exhibits for our 200+ Distributor Partner Network. All of our rental components are produced right here, and we’re able to make last minute modifications. I like to make it clear that we don’t just offer rentals, but that we offer a complete rental program. From start to finish, we have detailed processes that are followed by our production team and project managers. Every rental project gets staged and photographed before shipping. The highest quality standards are strictly enforced. We include setup instructions, and staging and packing photos with every order. After orders are returned, we provide a complete check-in report to close-out the project. Several years ago, we implemented our Rental Rewards Program, which offers a reward discount of 2% of the total rental and graphics order when your exhibit returns without major damage and/or missing components. The program also offers two annual prize-drawings, and other rewards for our distributor network. Q3. What are your biggest challenges headed into 2019? Biggest opportunities? The seasonal nature of the trade show industry is always challenging. Everything hits at once several times throughout the year, which makes it challenging at times, but we plan and adjust accordingly. I’ve been doing this for a long time, so it’s never a real surprise, but it can hit at slightly different times. 2019 should be an amazing year for us. I would say that our biggest opportunities will be to continue to work on larger island design projects. We’re doing larger projects all the time, and I expect that trend to continue. Another big opportunity that I’m anticipating is doing more large quantity component orders. 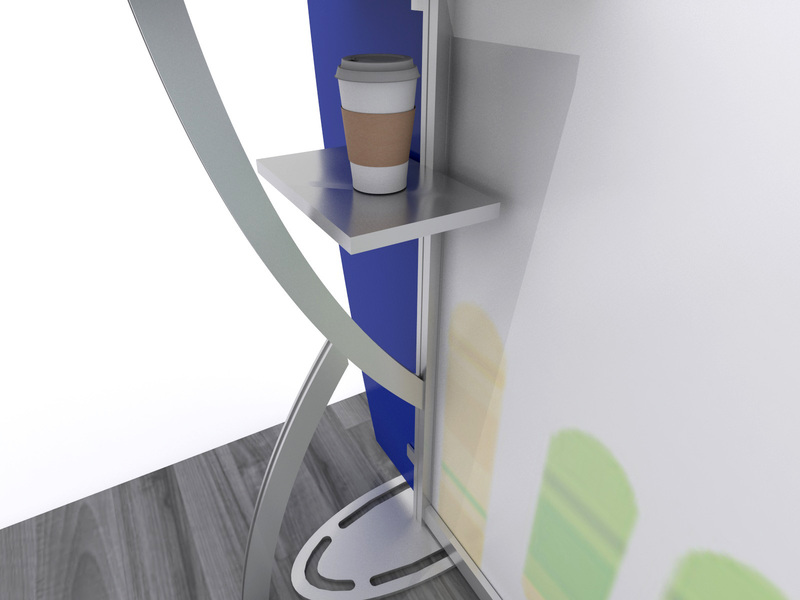 We do large quantity orders for workstation kiosks, monitor stands, iPad kiosks, counters, and charging stations. Our large inventory, and willingness to add more, allows us to offer quantities that others typically don’t have available. Q4. 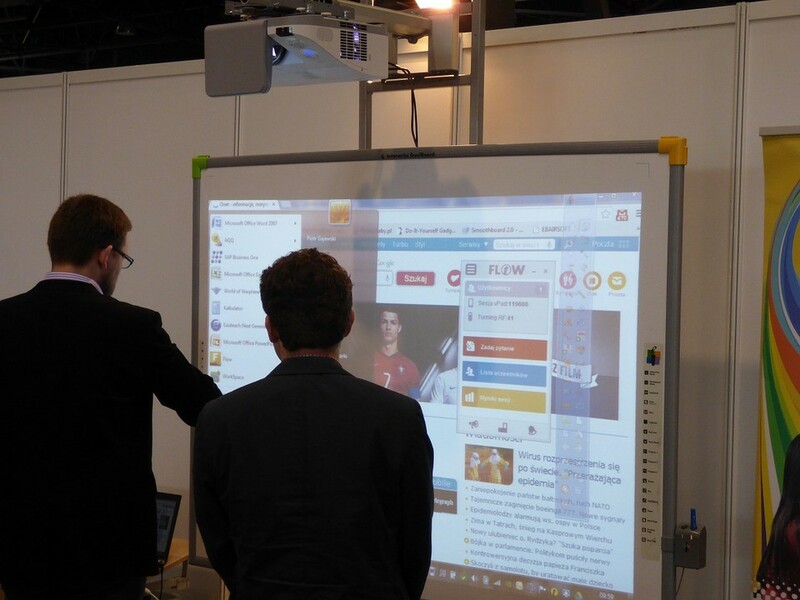 What do you think the typical exhibitor gets wrong about renting a trade show exhibit? Some of the newer exhibitors think that they are limited to standard designs, and they’re surprised when we start the design process and realize that we offer so much more than they were expecting. Q5. What do you wish the typical Classic Distributor Partner understood about Classic Rental Solutions? For those who aren’t aware and haven’t worked with us, I wish that they understood our full capabilities, and our design flexibility. And that we offer a complete rental program with nothing but high-quality “like-new” components. I want them to understand that we can offer something unique for their client base. Something that has proven to work successfully for distributors all over the country. Q6. Have you seen more event-related rentals vs. trade show rentals? Are their more similarities or differences? Yes, we ship a fair amount of event-related projects. In the last couple of months, we had multiple large quantity orders for charging stations. And last week we shipped (49) backlit counters to the Wynn Hotel in Las Vegas. Q7. How has the Gravitee One-Step System impacted your rental options? Our Gravitee Modular System has been a great addition to our rental program. 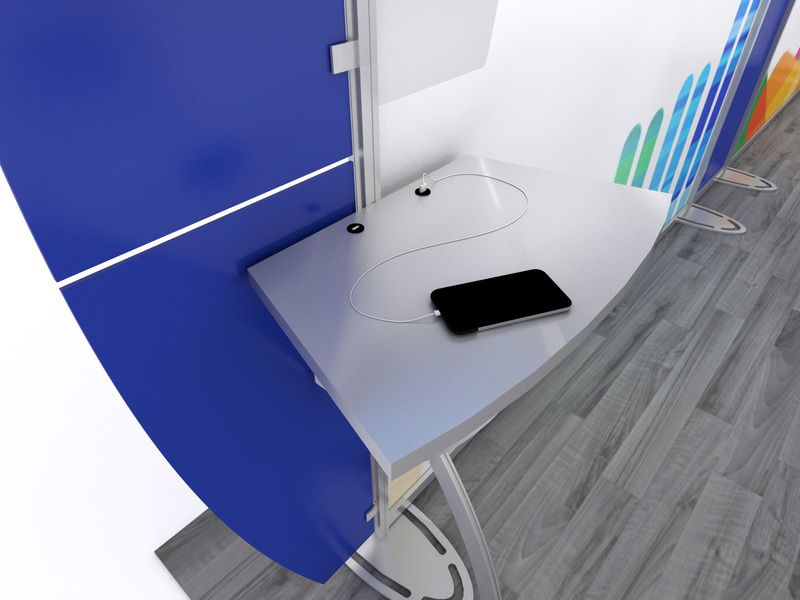 It works extremely well for towers and conference rooms, but also for entire island and inline designs. It’s super-fast and easy to setup and disassemble, so it’s used as much as possible to save on labor costs. We see a substantial savings in time during our staging process here in our shop as well. We have a large inventory of standard and custom panel sizes, and we’ll continue to add to it. Q8. 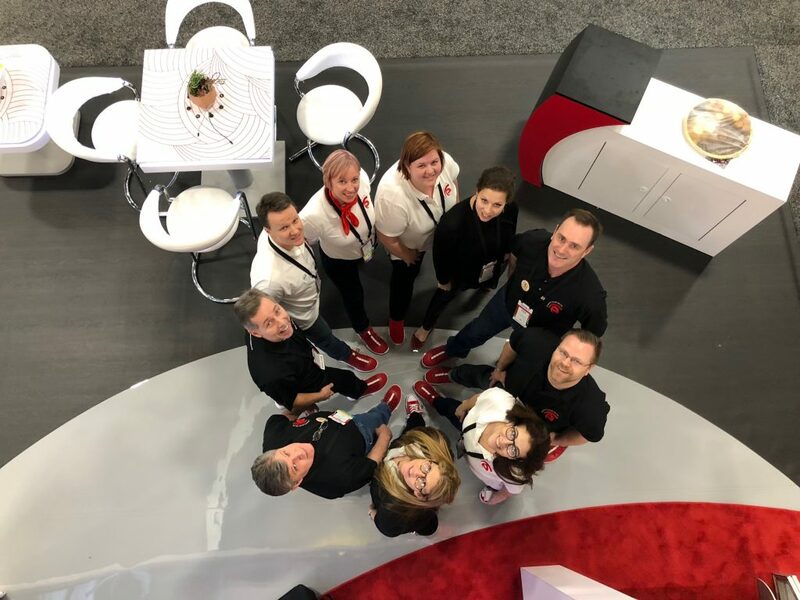 Assuming you’ll be at EXHIBITORLIVE 2019, what are the three questions you want attendees or Distributor Partners to ask you about CRS? Yes, I’m planning to be there, and here are three of many questions that I would welcome during our conversations. 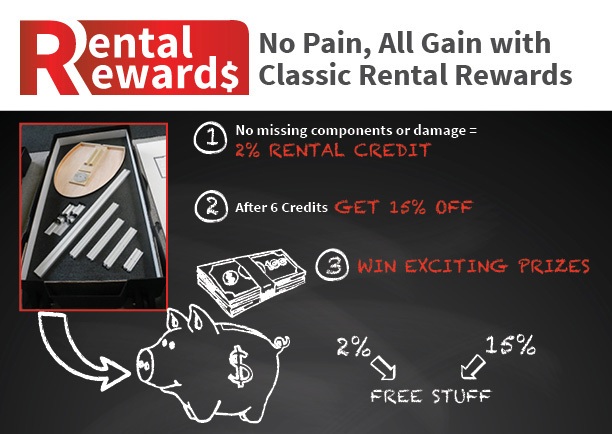 How can Classic Rental Solutions assist us with our current rental program? How do we get started working with Classic for our rental projects? What are your customization capabilities? I’m looking forward to the show, and I’d be happy to schedule meetings during, before, or after show hours. You can contact Jim Shelman at jshelman@classicexhibits.com or at 503-345-0525 ext, 103. #2. Don’t stare at your cellphone while on the show floor. It makes sense, mostly. But you, me, and the guy with the taped together pop-up across the aisle all ignore those rules. We want our coffee in the morning, and we’re going to check our emails from time to time. It’s all a matter of degree. Don’t chow down on Kung Pao Chicken or obsessively check your text messages. Basically, act like you want to be there. It’s 2018, Dude. There’s gotta be a middle ground, and your display should facilitate it, whether you view it as a necessity or a necessary evil. Think of Classic Exhibits and the Sacagawea Portable Hybrid Display as your personal bad-habit enabler. The Updated Sacagawea System includes two features not found on any other portable display and rarely seen on far more expensive exhibits: The Hostess Shelf and USB Charging Ports. Most portable displays have limited shelf space. That shelf or shelves are typically used for laptops, tablets, literature, or product samples. Not your beef burrito or latte. But, what if there was a small, less obvious shelf that didn’t interfere with your presentation but was readily accessible? On the Sacagawea System, any kit that includes a backwall workstation counter includes (1) Hostess Shelf. The Hostess Shelf is perfect for your morning coffee or danish. It’s discrete, sitting below the larger workstation counter. Where there’s a workstation counter, you can add another Hostess Shelf so Ronnie in Sales has his own personal pantry on the show floor. The shelves are laminated so that nasty coffee ring can be wiped clean with a quick spray of Windex or Formula 409. Enjoy your caffeine fix my friend, guilt-free. Just be sure to set it back on the Hostess Shelf before you shake hands with the prospect you’ve been calling for 3 years. She just step in the booth. Benjamin Franklin may have discovered electricity, but you know there’s more to power than a kite and a key. And just like you need caffeine, your phone needs juice during a long day on the show floor. Who wants to be Magellan circumnavigating the hall looking for an elusive electrical outlet? You’re better than that, and you belong in the booth talking about the revolutionary EN4CX-1287 industrial sump pump. It’s awesome! The Sacagawea Portable Hybrid has your back. Two USB Charging Ports are included on any kit with a workstation counter. You don’t even have to share with Polly in Product Development, who’s still using a Nokia flip phone with an annoying “Welcome Back, Kotter” ringtone. Whether you need a full charge or just a quick top-off, the USB ports are always there. Safe. Dependable. Satisfying. Need more ports? No problem. Additional USB ports can be added when you add another workstation counter. BTW, did we also happen to say that no other portable display offers this indispensable charging feature? Well… we did now. What did we miss? Please let us know in the comments. Thanks. 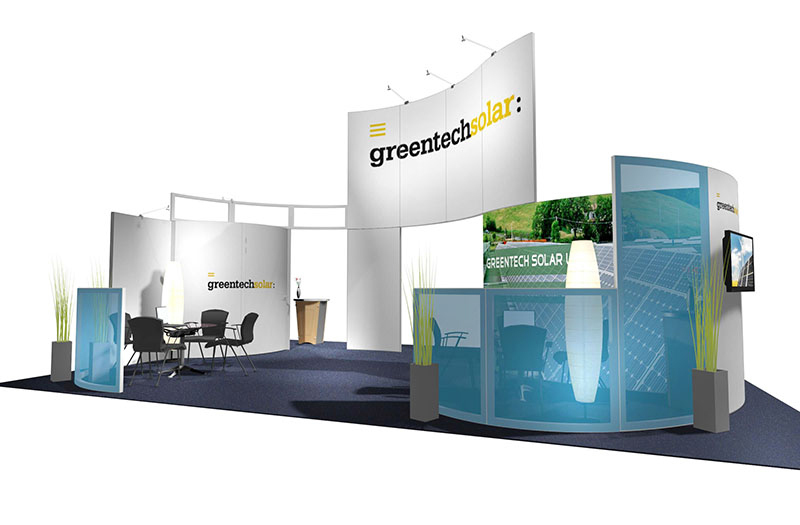 Trade shows are a great way to get your company’s name out there and to network with potential customers or clients. If you are planning to start trade show marketing for the first time, you’re probably wondering: What are the best ways to turn visitors into paying customers? Try the following tips to show off your business in the best light and attract great, loyal customers like bees to honey. Depending on your industry, you may already have a contact list of potential individual or business clients. Send a quick, professional e-mail to this group, letting them know that you’ll have a booth at an upcoming trade show and would love for them to visit and test your product. You may try offering an incentive for the first twenty or fifty visitors (depending on the size of the show). Something like a discount voucher on your product or a promotional item can work wonders if you’re trying to attract visitors. If presented in a warm, friendly manner, these gifts may even leave your customers subconsciously wanting to buy something in return for your generosity. 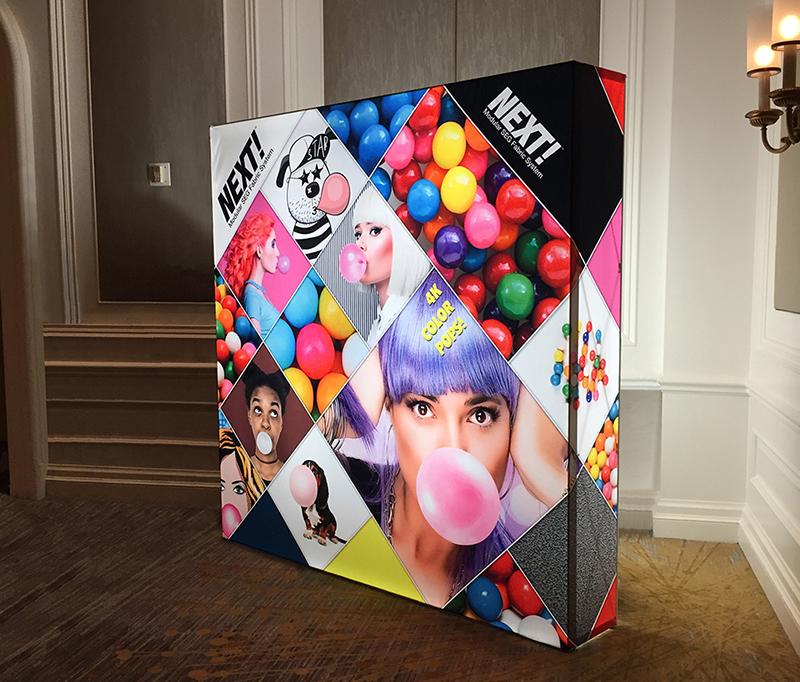 Your booth is a big piece of tangible advertisement, so entice your visitors by creating an attractive, eye-catching booth. Consider sizing – you’ll need room for all of your equipment and ensure that visitors can easily enter and leave. Choose the right colors to match your business theme and the mood you intend to portray. Keep your booth’s decorations tidy, smart, and simple so they don’t overwhelm visitors on sight alone. Telling visitors about products isn’t always enough to sway them. What better way to show visitors your product’s value than to let them test it themselves? It’s normal for customers to have some hesitation when buying a new product, especially if it’s expensive. Ease their fears and allow them to try your product under your supervision and answer any questions. Don’t be tempted to crowd your visitors: there’s nothing wrong with pointing out your product’s features – but allow your visitors to discover your product’s worth in their own time, so they don’t feel rushed. Your visitors are much more likely to become customers if they’re convinced that your product is worth purchasing – and the people in charge of this critical task are your most well-trained staff. For many customers, your booth will be the first point of contact with your company, so don’t let inexperienced employees ruin their perception. Ensure your staff are confident and compassionate, ready to address any queries that your customers may have. Remind your visitors about your product by sending them an e-mail or two after the trade show has finished. This might be in the form of a survey about their experience or an invitation to take part in a competition. 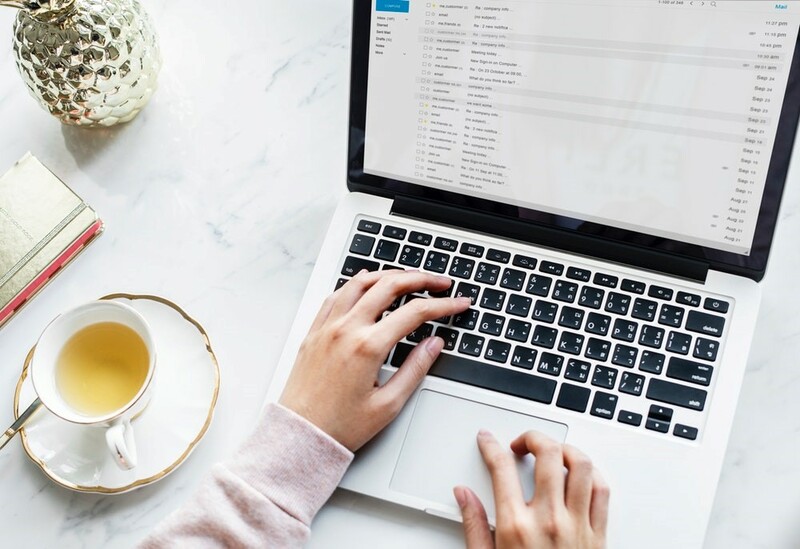 You could also request the e-mail addresses of potential customers during the trade show, asking them if they would like to be added to your mailing list if you wish. Just ensure they know what they’re signing up for beforehand, as there’s no quicker way to alienate potential customers than by sending them e-mails that look like spam! Find out as much as you can about the trade show venue, and see whether there are different zones in the grounds that cater to different types of businesses – e.g. outdoor vs indoor, near windows or natural light, close to plug-in power connections, etc. If you are allowed to choose the location of your booth at the trade show, be strategic. Studies show that when people try to remember a group of items or names, they can usually recall the first and the last ones they heard or saw – so if your booth is near the entrance or exit, visitors may be more likely to remember your company’s name or booth when they reflect on their experience. 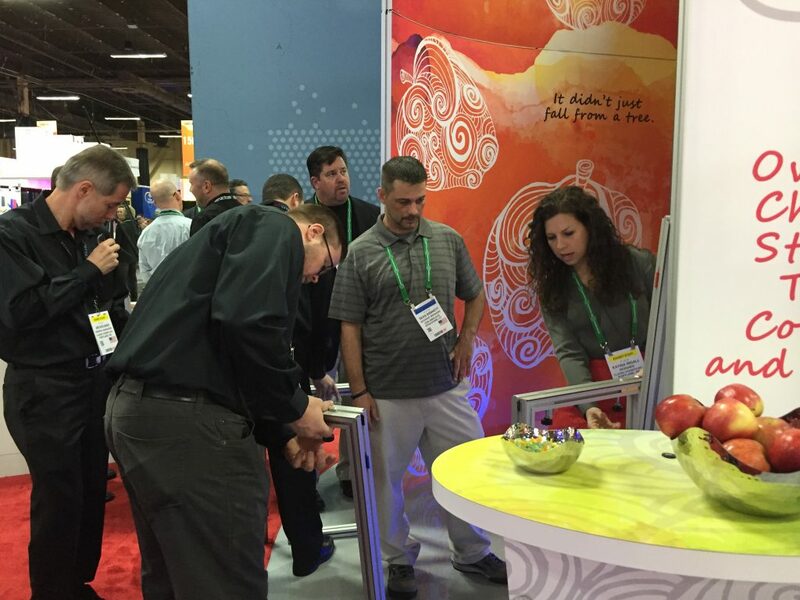 Converting visitors to customers at a trade show doesn’t require a miracle. If your company is prepared and willing to adapt, you’ll be sure to succeed. Johanna Cider is a New Zealand-based writer who has published work for hospitality sites such as Strata. An artist as much as a wordsmith, she loves honing her skills at creative workshops and scouting the latest design trends at trade shows in her city. Discover more about Johanna and her work on Tumblr.